I would like to start off with the statement that this is not an original idea. 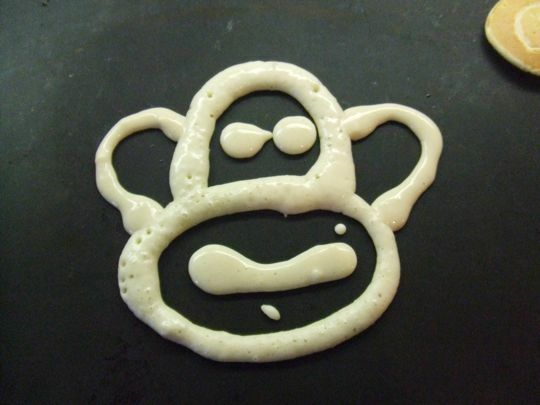 Jim’s Pancakes is a site about a guy who makes crazy fun pancakes for his daughter and now is famous for them. 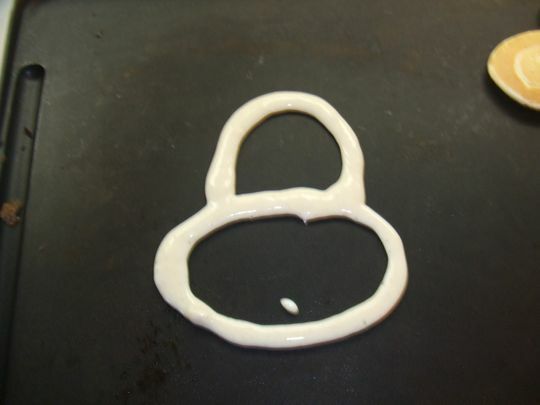 Kudos to Jim for being creative with his breakfast using batter as an art medium! 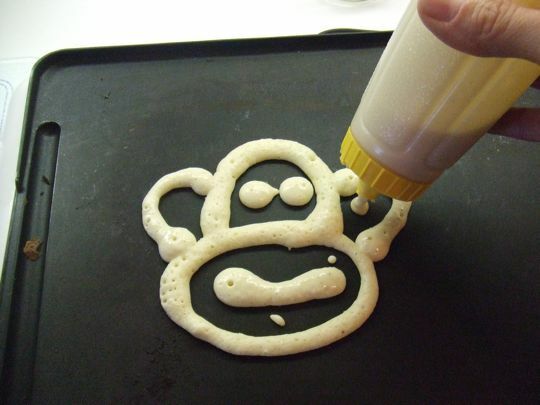 When I was a kid my mom would make letter pancakes, and we absolutely loved those. 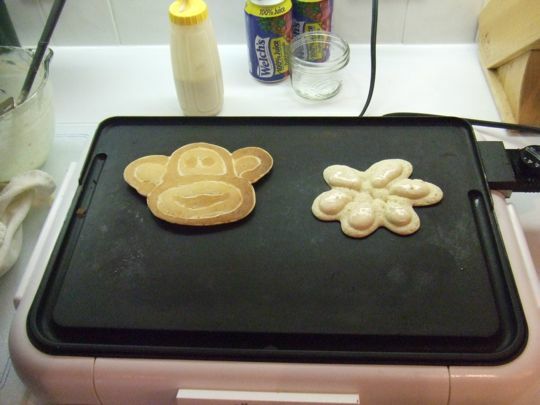 I’ve tried flower pancakes with the preschoolers, and started to make a bunch of those this morning. I said I needed another simple shape, Kathryn suggested a monkey. Excellent idea. Any simple outline shape will work. 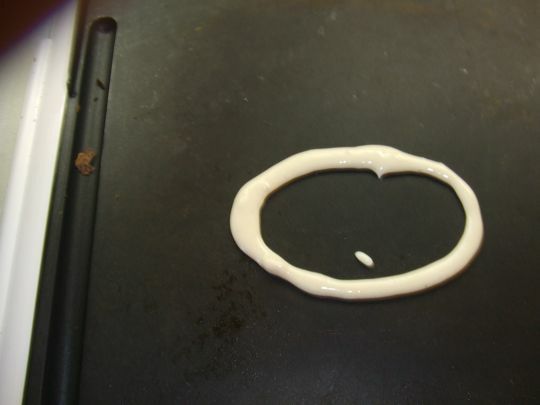 ‘Draw’ the outline first, let it set for a while, then flood the middle with batter. Plus, tell me you’ve never wanted to eat a monkey?!? Cook, flip, cook some more, admire your edible art – eat. There’s a done one with a flower in the works. Of course, the batter can’t have big lumps in it, which is a shame. 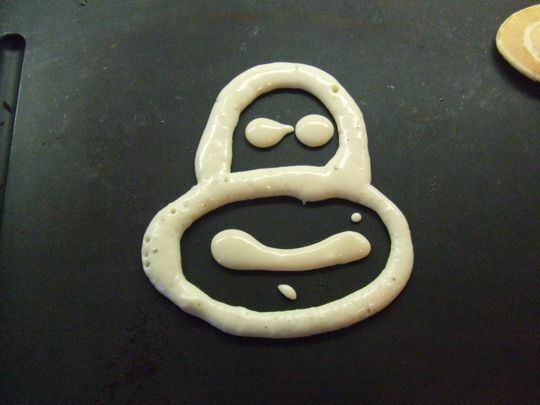 Lumpy batter makes good pancakes. No matter. What they lack in texture they make up for in charm. Kids! Charm’s ready! Come and get it! 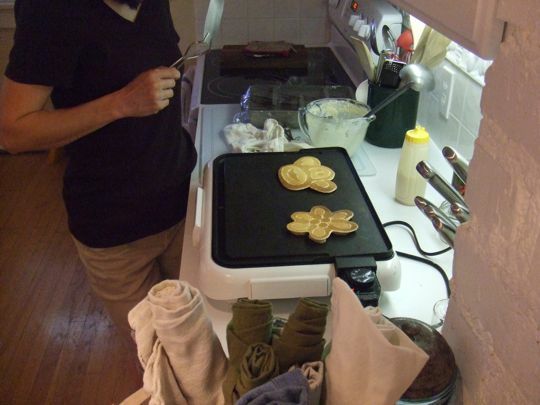 It’s called a griddle so it can rhyme with “Life ain’t nothin’ but a funny, funny riddle”. So if that line had been changed to ‘..nothin’ but a funny, funny joke’, the thing would have been called a groke? which is ok, ’cause now ‘Country Boy’ is gone! Dang those are cute. And I don’t have a squeeze bottle. Or a griddle. You could taste the monkeys love.